When you have unusual dreams about tornadoes, one of the first things that you want to do is interpret the dream. If you happen to live in Tornado Alley, you may even be afraid that your ream means that a tornado will be happening in the near future. Luckily, this type of dream rarely predicts the future. Instead, tornado dreams show what is going on in your subconscious mind and emotional state. Dreams about tornadoes are often a metaphor for our emotions. The patterns and situations in our waking world tend to be reflected in our dreams. While tornado dreams can be terrifying to experience, they do not always have a negative meaning when they appear in your dream. Tornadoes are one of the most violent storms in the world. Each year, about 80 people die as a result of tornadoes. Because of their power and violence, these storms often cause panic and fear in your dreams. This is especially true if you have ever lived through a tornado, but you can still feel terrified without actually going through a tornado in real life. Currently, psychologists believe that this type of dream is a reflection of the dreamer’s waking life. They believe that someone who is unable to control parts of their life dream that there is an uncontrollable tornado. This type of dream may happen if you have recently experienced a traumatic conflict or a sudden change. One of the most common interpretations of tornado dreams is a big change. The tornado is a volatile wind that wreaks havoc and change everywhere it goes. 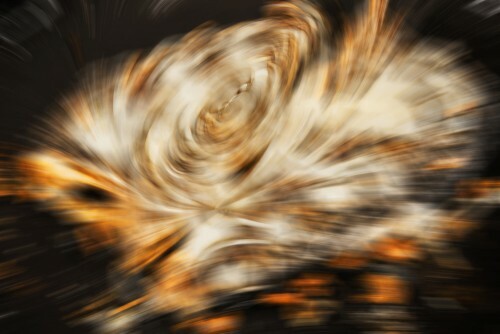 This type of wind could represent a sudden, volatile change in your life. You may also be experienced a strong emotion or a sudden mood change. You may also have this type of dream when you sense that a major, emotionally charged change is coming in the near future. When a tornado comes, there is very little that you can do about it. You have to put up with the stress of the storm and just hope for the best. 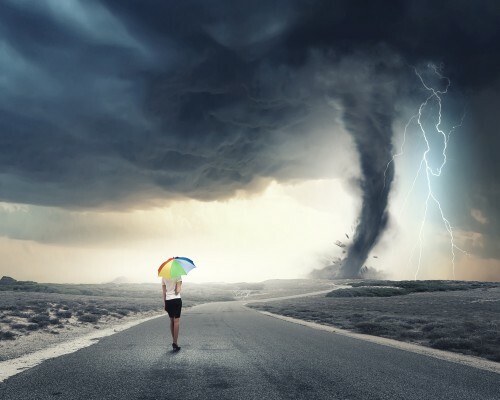 Because of this, dreams about tornadoes may represent frustration and anxiety in your waking life. You may feel like you are just stuck waiting out the storm and are afraid of everything that you could lose. This type of dream is quite common when you are undergoing a period of stress. No one expects a tornado to suddenly show up and wreak havoc. In mere minutes, a tornado can undo all of the work that thousands of people have done to build homes and businesses. While they may only last for a few minutes or hours, they leave a devastating wake in their path. This type of activity is symbolic for sudden changes in your life. You may have just given birth or been fired from a job. You may be struggling to fit in after moving to a new state. Any major life change can cause you to dream about tornadoes as your subconscious tries to process and reconcile the change in your waking life. Dreams about tornadoes can also be symbolic for destruction in your life. You may feel like you are losing control of your relationship and cannot stop the downward spiral that it is in. You may suffer from a difficult boss or impossible professor that makes it impossible for you to take control. For some reason, it may feel like a destructive force is at work in your life and you are completely unable to control it. As anyone who has survived a tornado can tell you, this type of storm can be extremely overwhelming and disappointing. Because of this, your dream may show that you feel overwhelmed by problems in life and disappointed about where your life is headed. The previous examples were generalized meanings for tornado dreams. By looking at exactly how the tornado appeared or responded in the dream, you can figure out a more detailed meaning. If you managed to survive the tornado in your dream, it means good things are coming. While you might feel overwhelmed or frustrated now, you have the capacity to overcome these problems in your waking life. If you keep working at the problem, you will emerge happy and victorious. If you just see a tornado in your dream, it is said to mean that a new challenge is approaching. Some people say that a man seeing the tornado means that he will have issues at work. Another common interpretation is that women seeing a tornado means an argument with her romantic partner. If the tornado is far away, it is said to mean that the problems may threaten you without causing any lasting damage. 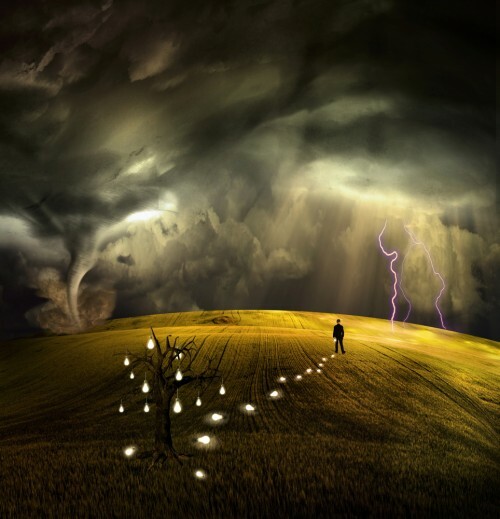 If you manage to escape from the tornado in your dream, it shows that you want to avoid problems and conflicts in your waking life. You are struggling to keep your life in harmony, so you are doing your best to avoid any conflicts in your real life. Sometimes, there will be more than one tornado around you in your dream. When you see multiple tornadoes at once, it often represents a changing emotional state. There may be people around you who quickly alternate between happiness, sadness and violent anger. In some cases, this type of dream may also represent a volatile, turbulent relationship. Think about what the tornado actually does in the dream. Does it seem to be destroying any objects in its path? When this happens in your dream, it is said to mean that you understand the potential consequences in a situation. While you may not have decided what to do yet, you know what could happen with each path that you choose to take. If you are stuck within a tornado in the dream, it may show two different things. One interpretation is that someone is taking control of you and your life, so you no longer feel as if you have actual control. The other interpretation is that you are fighting against your own feelings and emotions. Sometimes, you are not the actual person stuck in the tornado. You may dream that a family member or your close friends are stuck inside of the tornado. This typically means that there are situations in your waking life that can affect people around you, but you can only focus on yourself at the moment. You may need to get help from someone near you to navigate the situation.